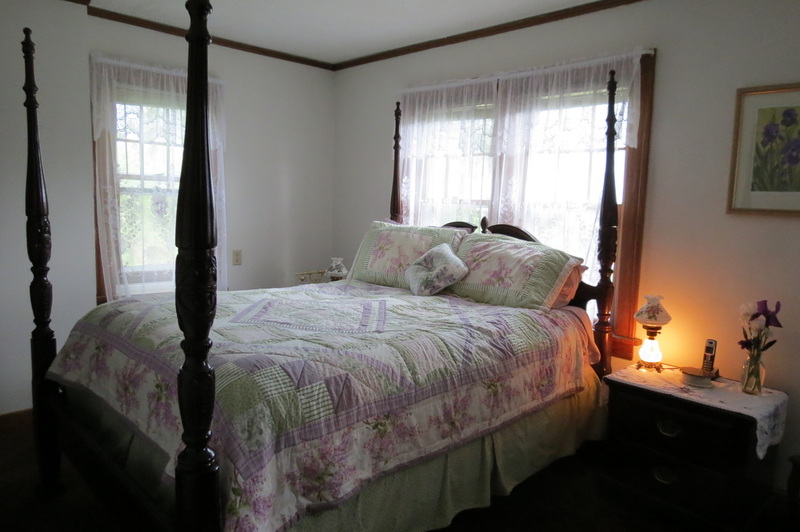 Our comfortable feature room offers a queen-sized 4-poster carved mahogany bed and a wing-backed chair. 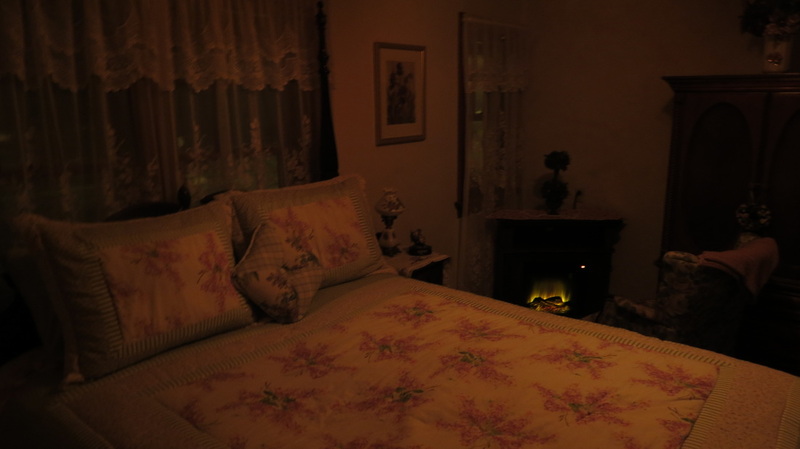 For your comfort this room has it's own air conditioner and electric fireplace. $115/night. Extra roll-away bed available for additional guest. 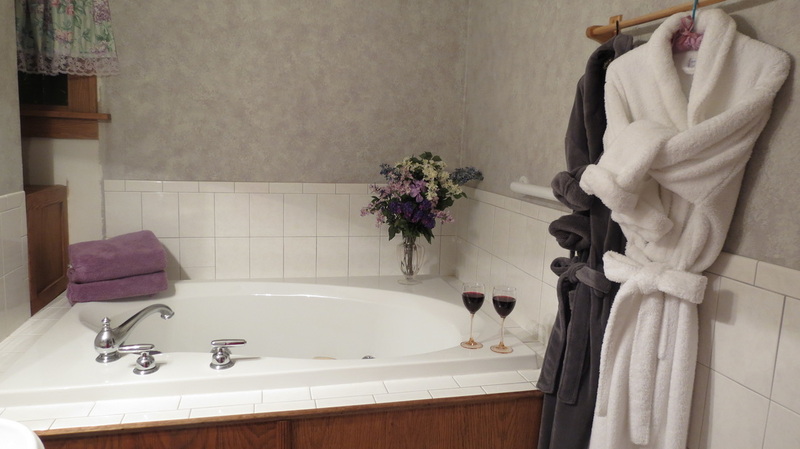 $35/night. 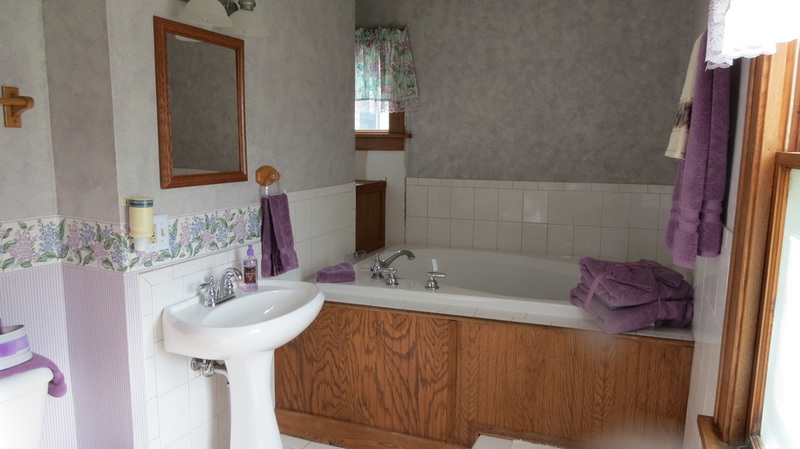 The attached bathroom has a whirlpool tub for two.